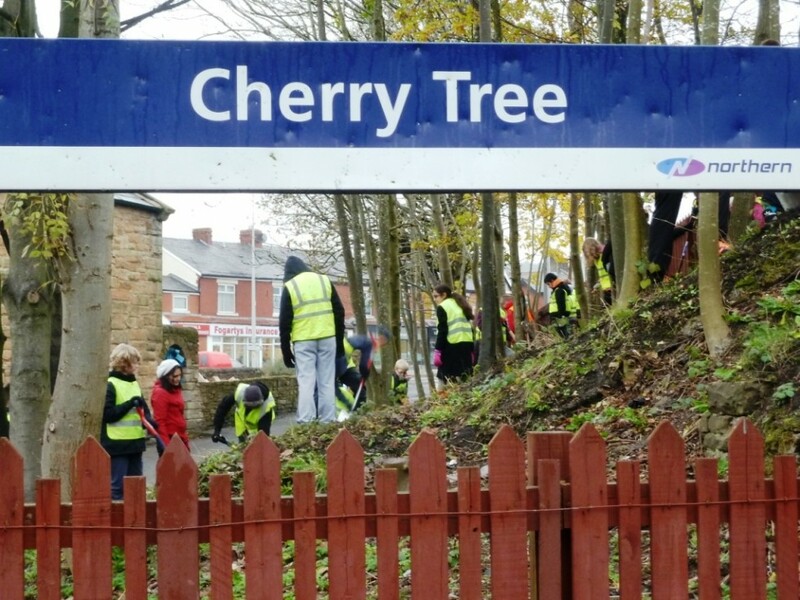 All Change at Cherry Tree aimed to establish Cherry Tree Station as a gateway to the local community and to the nearby Witton Country Park. 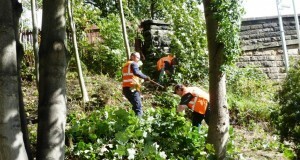 The station is on the Preston to Colne line and is served by an hourly diesel service between Preston and Colne. The facilities offered to passengers were very basic, with approaches infested with weeds and litter and shelters and running in boards bearing the brunt of regular bouts of vandalism over a number of years. No wonder it was viewed as a no go area especially in the evenings. Yet, despite this the station has averaged growth of 12% per annum over the last 5 years and the East Lancashire CRP and Blackburn with Darwen Borough Council both recognised the potential for considerable latent demand given its proximity to commuter hubs of Preston and Blackburn and the growth of students needing to travel to college in both towns. A key issue was, therefore, how to deal with the anti social behaviour at the station and the tired looking environment and its effect on usage? 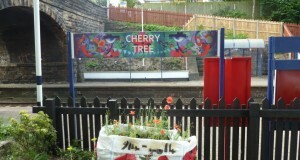 Following its success with the ‘My Mill Hill’ project, Blackburn with Darwen BC wanted to apply a similar package of intervention at Cherry Tree to transform the feel and perception of the station. From this ‘All Change at Cherry Tree’ was born. 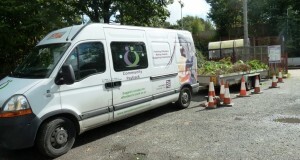 The project has involved multiple partners of all age groups. 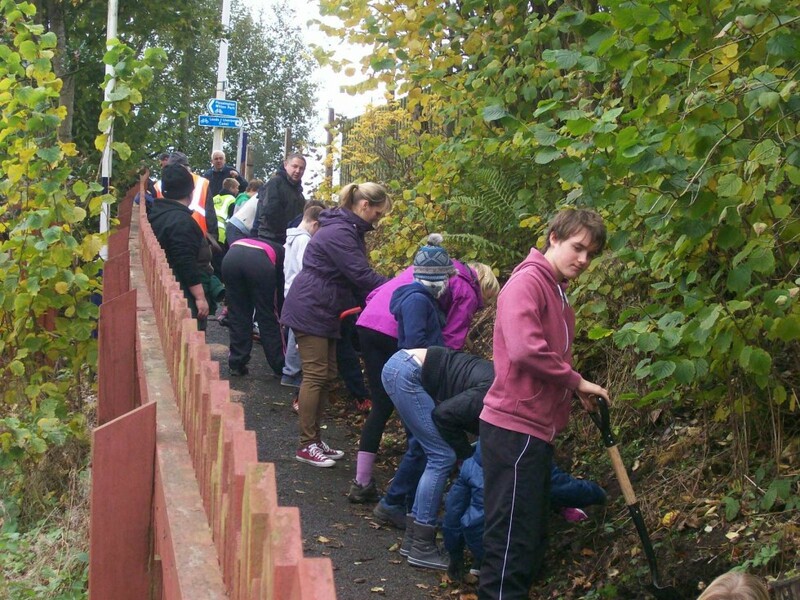 A plan of action was developed to tackle all the known problems at the station and create a fitting gateway to the local community and Country Park. 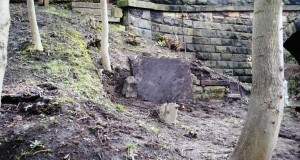 Task one was to remove the litter. 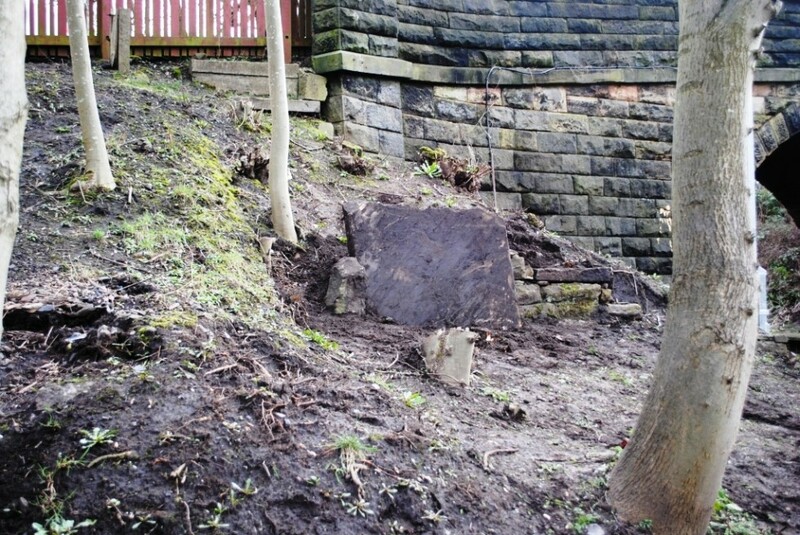 This was achieved thanks to a local Community Pay Back team supported by public service students from Blackburn College who between them managed to clear over 10 tons of rubbish and weeds. Following clearance Year 6 pupils from St Francis Primary School, and local Scouts, Cubs and Beavers from the Feniscowles pack along with their parents planted over two thousand Daffodil bulbs on site to ensure a colourful spring show. Stanley Grange a local group which specialises in working with adults with learning difficulties gave advice on further planting at the station as well as supplying plants and labour on planting days giving their clients an opportunity to work on a project alongside local college students. 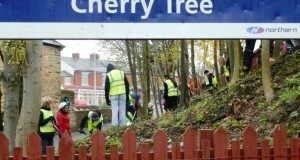 The task of linking the station to the local Witton Country Park was achieved using an innovative imaginary story line which was enthusiastically taken up by the school and Scout group who produced colourful art work for the station reflecting the story line. 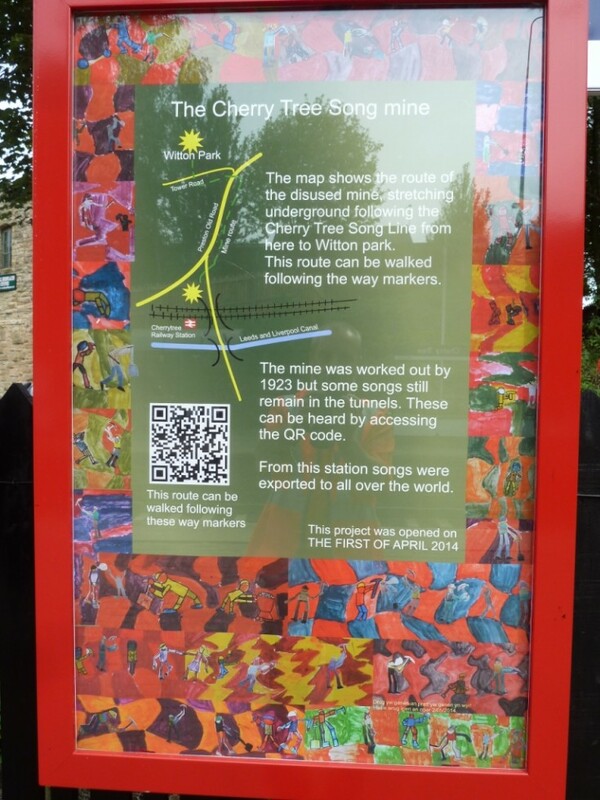 The story tells of a song mine which ran from the station to Witton Country Park and from where songs were transported by rail from the station all over the world. 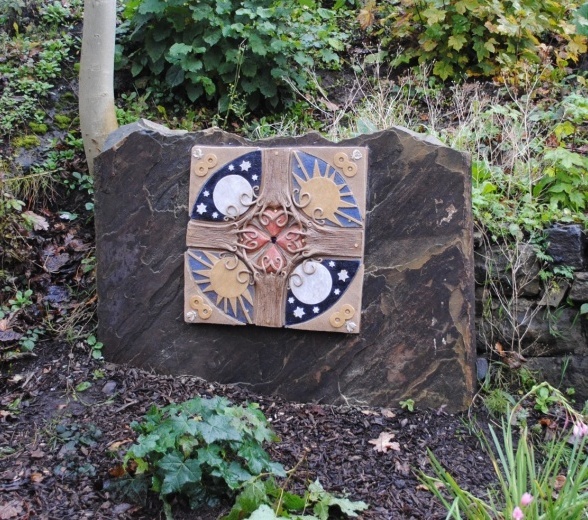 The old entrance to the mine adjacent to the station car park has been rediscovered and a ceramic sculpture produced by a local potter working with adults with learning difficulties whose workshop is located in Witton Country Park has been installed on the capped mine entrance. 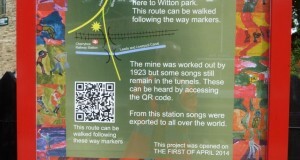 An overland route following the old mine workings has been established and marked with QR codes which when activated play one of the ‘songs’ left behind when the mine was worked out. The music was written and recorded especially for the project by young musicians from two local youth groups at Strawberry Bank and Mill Hill. Click the link HERE to download the song from Sound Cloud. 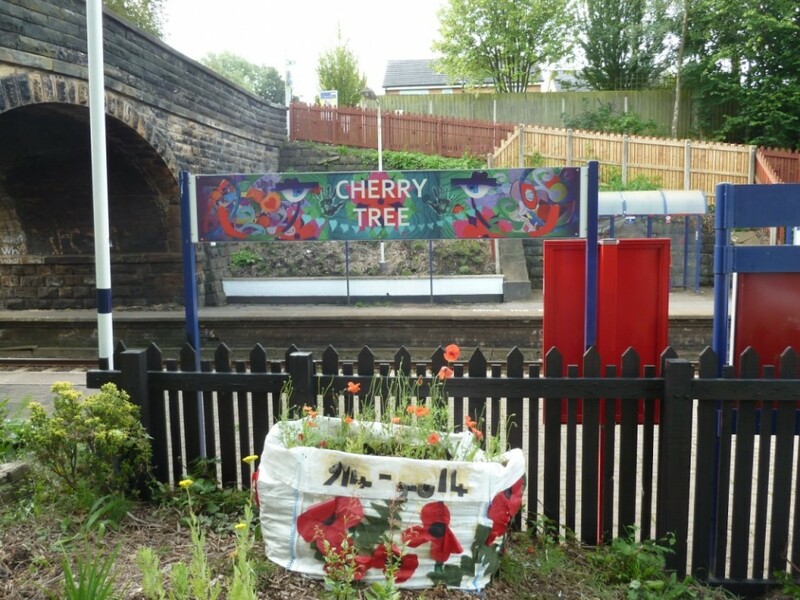 Art work from the school, Scouts, Cubs and Beavers swelled with contributions from two local adult craft groups and a local art group and having been digitally mixed by local artist Alastair Nicholson they now feature as spectacular and colourful artwork for the station. Another group of students from Blackburn College produced bird boxes and insect shelters and installed them around the station approach road. 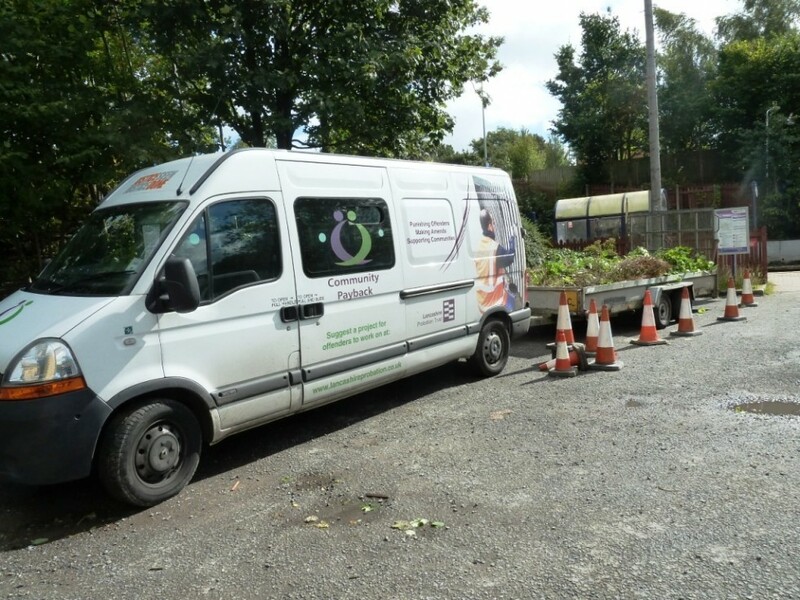 Local businesses have also been involved with one local company allowing us to store tools and materials on their premises and another providing man power to help with a particular heavy aspect of the project. 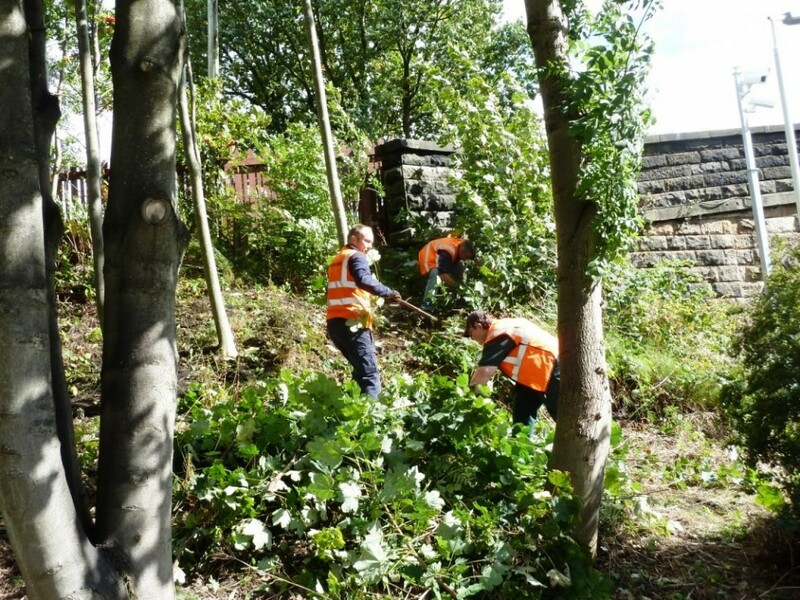 All this activity at the station has been complimented by Blackburn with Darwen who have procured from Northern Rail a comprehensive CCTV system to monitor activity at the station, new shelters and the repair and repaint of station fencing. The CRP has also provided new branded notice boards and running in boards. Blackburn College have been very pleased with project and the experience it has given to participating students and to this end have indicated that they will continue to support the project with their next intake of public service students providing continuity to the project. The launch of the project saw representatives of all participating groups meet at the station to see the Mine entrance sculpture unveiled and after viewing the artwork on display on the platforms all were treated to refreshments at the local community hall where a slide show covering all the different facets of the project was shown. 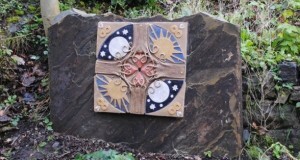 This has been a community project with over 12 community based groups of varying ages and ability working together to produce a very satisfying end result. The regular working groups, particularly the students have attracted favourable comments by users of the station many commenting how nice to see youngsters working in the community to benefit the community. 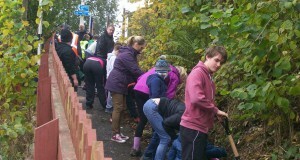 The parents who accompanied their children in the bulb planting saw the day as an opportunity to contribute working side by side with their children on a project that would impact on the local community in a positive manner. Through the involvement of so many groups it is hoped that a sense of ownership of the station has been achieved that will reduce vandalism and make the station feel a secure environment and thus further increase ridership. We expect usage of the station to grow better than in previous years and we will monitor this as a CRP in the usual way. 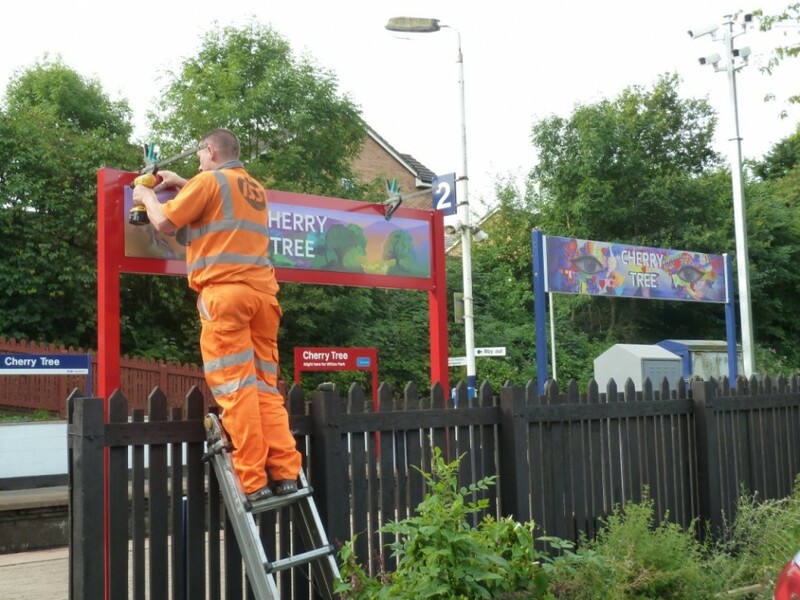 A new leaflet has been designed that showcases the work carried out as part of the All Change at Cherry Tree project and this can be downloaded by clicking this link: All Change at Cherry Tree.